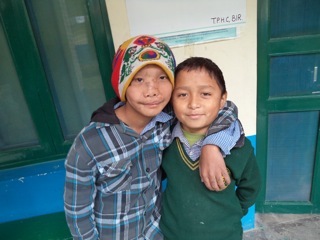 The Humanitarian Association Art’Tibet Cham Sem supports the Tibetan Clinic in Bir, Himachal Pradesh, Northern India. 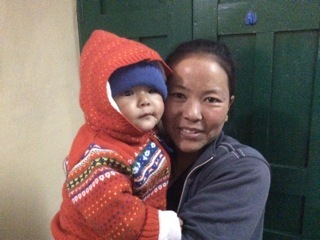 Its aim is to improve Health Care for Tibetan refugee communities and the Indian population. Even today Tibetan refugees are still arriving from Tibet and settling in the Indian village of Bir and its surroundings. They form Tibetan settlements amidst the Indian population. Around 10 000 Tibetan and Indian people now live in Bir. The refugee communities in Bir seek to preserve their culture and language. To this end, they have established eight traditional Buddhist monasteries with a total of around 3 000 monks and nuns. Under the responsibility of the Tibetan government in Exile, the Tibetan clinic- run by Tibetan health care professionals- provides medical care for the entire population of Bir, but particularly for the Tibetans, including several schools, an Old People’s Home and the many monks and nuns. The doctor and the two nurses in the clinic only administer allopathic medicine. This includes vaccinations according to Indian standards, mother & child care and prevention and treatment of the tuberculosis and hepatitis B. On average, 30 patients per day are treated in the Tibetan clinic. The staff also regularly visits local patients who can’t get to the clinic. The doctor treats around 8 000 patients a year and refers another 3 000 to hospital. The clinic offers medical treatment and medicine free of charge to all patients who cannot afford to pay. This represents almost all of the refugees, including the monks and nuns along with a lot of Indian people. The clinic is on two levels. The rooms on the ground floor serve as the clinic. The first floor houses the health care staff and their families. Today the clinic’s facilities consist of several basic rooms- including two consultation rooms, a laboratory, an office and storage. At present, the clinic does not yet provide a desperately needed emergency department nor any hospital rooms. It also needs an ambulance. The nearest hospital with an emergency department and maternity unit is situated 30 kilometers away. Few Tibetans or Indians in Bir possess their own car. For this project, Art’Tibet Cham Sem gratefully acknowledges the invaluable support of German medical NGO INTERPLAST, in particularly the contributions of Dr. André Borsche and Dr. Petronela Monticelli-Mayer. The Tibetan clinic urgently needs the construction of a well-equipped operation theatre, a maternity unit (with birthing bed) and several patient rooms. Please donate what you can. Every donation to this project makes a difference. Your generosity is greatly appreciated! See the full Interview with the doctor of the Tibetan clinic. Why choose a monthly donation? Monthly donations allow us to plan our activities over the medium to long term and it gives the Association a regular income.